This smoothie is a seasonal favorite! It’s a great breakfast or a pick me up snack, especially when it’s pumpkin season! Feel free to add a nice dollop of whip cream on top, with a sprinkle of cinnamon. 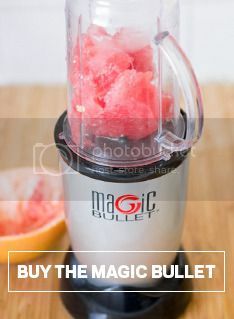 Add all ingredients in the Magic Bullet Blender until creamy. Serve immediately! Enjoy!